• Ad appears as first of a maximum of 4 rotating sliders. • Your ad is always the first slider displayed when the home page is visited. • Only Lubes’n’Greases content will appear in following sliders. • Your ad will appear in the middle of the ‘Feature Stories’ column. Ask the Expert is a Q&A that is hosted on LubesnGreases.com and is available to sponsor, which includes providing the ‘Expert’ to answer questions. • Engage with the global Lubes’n’Greases audience. • Present yourselves as thought leaders. • Find out what the market is thinking about a topic of your choice. • Extensive exposure and promotion across Lubes’n’Greases publications. • Find out more about Ask the Expert here. 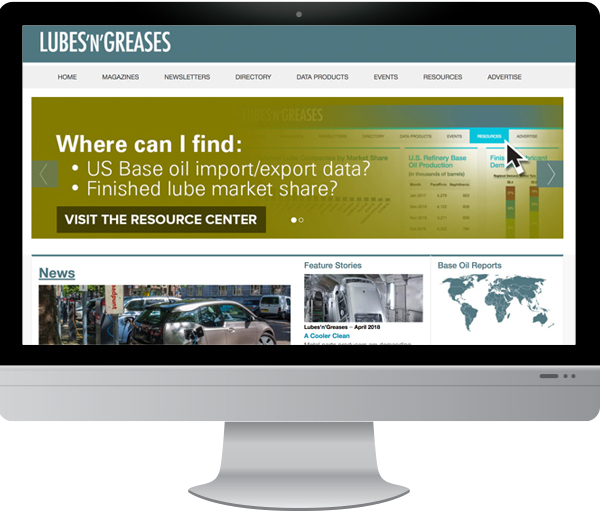 Promote your white paper or webinar to the Lubes’n’Greases audience. • Promote your thought leadership content. • Benefit from traffic driving promotion in Lube Report. Upgrade your product news article to ‘Featured Product News’. • Displays for one week on the Home page and Directory channel of LubesnGreases.com.